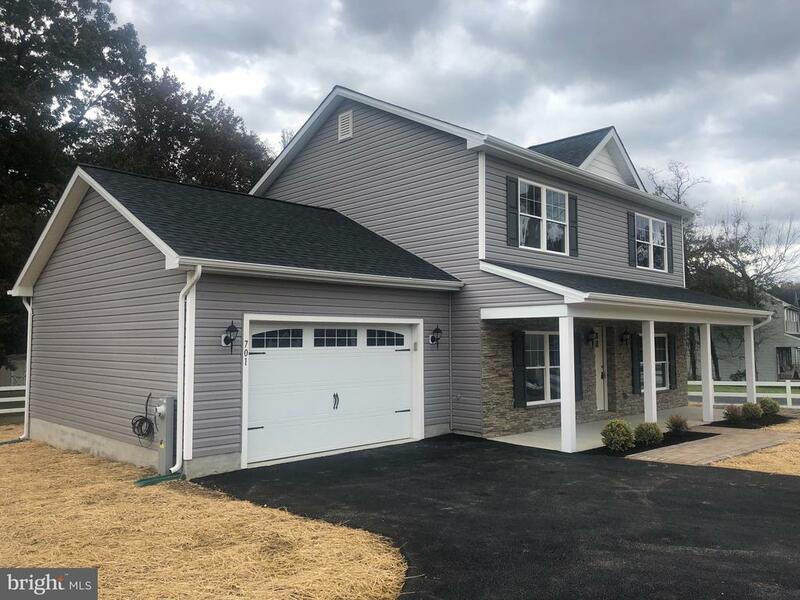 All Middle River homes currently listed for sale in Middle River as of 04/24/2019 are shown below. You can change the search criteria at any time by pressing the 'Change Search' button below. If you have any questions or you would like more information about any Middle River homes for sale or other Middle River real estate, please contact us and one of our knowledgeable Middle River REALTORS® would be pleased to assist you. 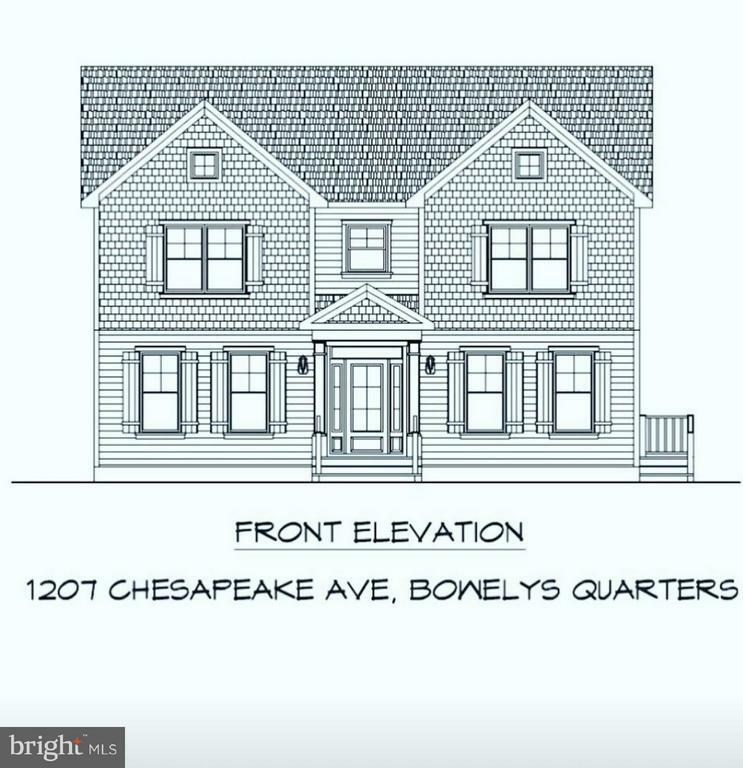 "Your Private Oasis awaits in this Luxury Waterfront property boasting two residences on one lot with Clear Views of the Chesapeake Bay. The main home features 17 rooms including 5 Bedrooms, 3 Bathrooms, 2 Full Kitchens, 2 Dining Rooms, 2 Living Rooms, an Office, Game Room, Separate Laundry Room and a Great Room that leads out to your Private extended Boat Dock. This property is perfect for entertaining. No expense was spared with the Techo-Bloc landscaping, wrap-around porch and fire pit to roast marshmallows while viewing the sunset over the Chesapeake Bay or watching the jets fly over from Martins Airport. 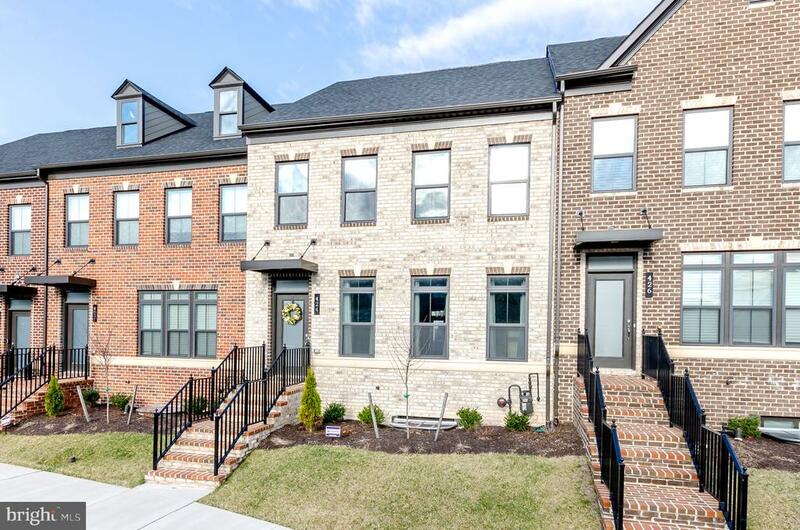 The 4-Car Garage features a 3 Bedroom, 2 Bathroom Apartment with Gourmet Kitchen with Granite Counter Tops, Stainless Steel Appliances, Cherry Wood Cabinets, Ceramic Tile Flooring and Soaking Jacuzzi Tub. If this sounds too good to be true, we invite you to schedule an appointment to see it for yourself." "Impressive Brand New Double Lot Waterfront Property!!! Enjoy Gorgeous and Spectacular Water Views Directly from Your private Master Bedroom Balcony, Spacious Deck or Your Private Pier. This Beautiful Property offers an Open Floor Plan with 10' Ceilings and Immaculate Designer Kitchen 3200+ living Space. 4 Bedrooms/3 Baths with Incredible Features and upgrades. Welcome to Water Front Luxury Living!" "Spectacular property being sold As Is with the adjacent property at 1017 Cold Spring Rd. Ideal for a guest house or additional living space this home offers outdoor living at its finest. The interior features ceramic tile flooring, vaulted ceiling, recessed lighting, updated baths, and beautiful water views. Kitchen boasts stainless steel appliances, breakfast bar, pendant lighting, and granite counters. 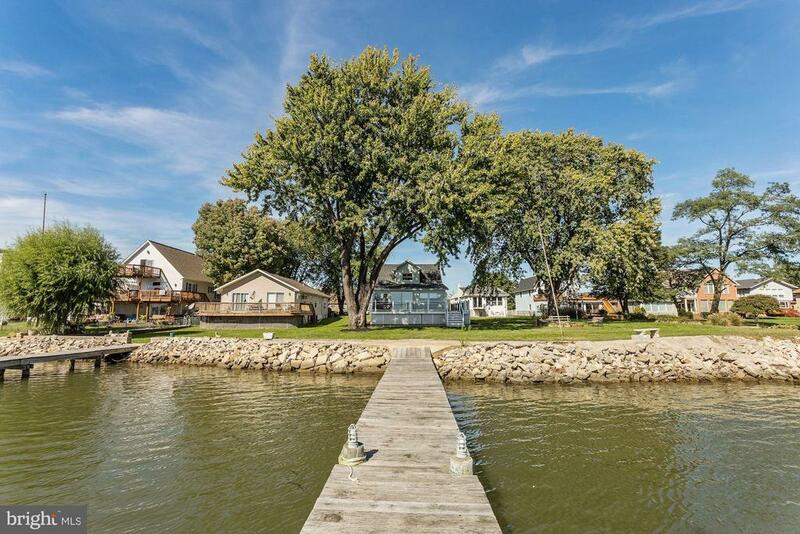 Landscaped grounds, patio, and dock complete this marvelous home. Major commuter routes include MD-150, I-695, and I-95." "Spectacular property being sold As Is with the adjacent property at 1019 Cold Spring Rd. 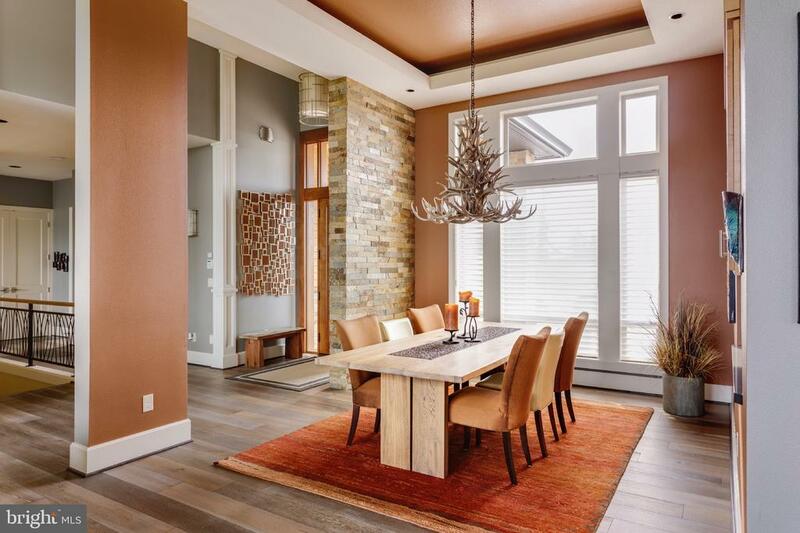 The interior offers gorgeous hardwood floors, modern fixtures and beautiful views of Galloway Creek and Middle River. The kitchen boasts white shaker style cabinetry, stainless steel appliances, and granite counters. Upper-level spacious loft is ideal for a bedroom or possible guest bedroom. Entertain family and friends on the rear deck overlooking the landscaped grounds and pier that allow for easy access on and off the water. Major commuter routes include MD-150, I-695, and I-95." 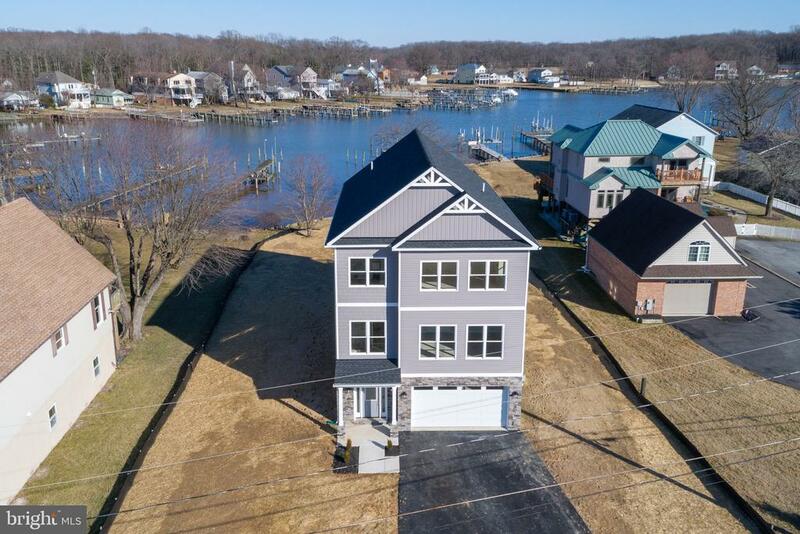 "Brand New Waterfront home on Seneca Creek. The home is nestled in a gated community with a private community beach! Community pier with option to purchase a boat slip. Open floor plan on main level with great views. Granite countertops, stainless steel appliances, center island, and breakfast area. 4 bedrooms and 2 baths. 3rd floor loft with Rooftop Deck. 2-car garage. Home is currently under construction. Photos of similar property used for representation only and may show options/upgrades that are not included in this home. Ask Sales Manager for a complete list of included features.Must use Caruso Homes preferred lender and title company to qualify for incentives." "Let Creative Home Co. build your dream home on this beautiful lot in Middle River! 2.5 acres just 1 block from the water. Choose from the Novel floorplan or many other models or bring your own. 4 bedrooms, 2.5 baths with beautiful master suite with private bath. At Creative Home Co. they start with what matters most to you. Custom means no compromises. It means coming home every day to a house that reflects who you are and how you live. Creative Home Co. blends forward-thinking ingenuity with time-tested artistry. Known for their relentless innovation, meticulous attention to detail and exacting standards of construction, they have earned a reputation for exceptional quality and unparalleled service. Creative Home Co. prides itself on working with passion and precision to transform your vision into a place of enduring happy memories. Their highly personalized approach is among the many things that sets Creative Home Co. apart from other builders.Creative Home Co. ~ Live outside the box. Photo is representative of available options and offerings." "Welcome to this luxurious town home located in Greenleigh at Crossroads. This one year old, 3 bedroom, 3 and a half bath, Ryan built town home is only available due to a job relocation. This home features an open floor plan with scraped hardwood floors, nine foot ceilings, a gourmet kitchen complete with center island, stainless steel in wall oven/microwave combo, granite countertops, and 42 cabinetry with under cabinet lighting. On the upper level you will find the owners 4 piece en suite with tray ceiling as well as two other generously sized bedrooms, a shared bathroom with a double sink, and 2nd floor laundry. The main level as well as the lower level are wired for a sound system and a fully wired Guardian Security system has been installed in the home as well! The lower level of the home features an additional full bathroom, a bonus room, and a large living space w/ walkout. Additional features of the home include a detached 2 car garage, a trex deck off the first floor, tankless hot water heater, photo sensor exterior lighting, fire sprinkler system, pedestal washer and dryer, remote controlled fans, data ports, and an upgraded banister. This brand new community offers it all with restaurants, fitness center, and spa/salon all within a short walking distance. The resort style clubhouse and pool are under construction and should be completed this year! 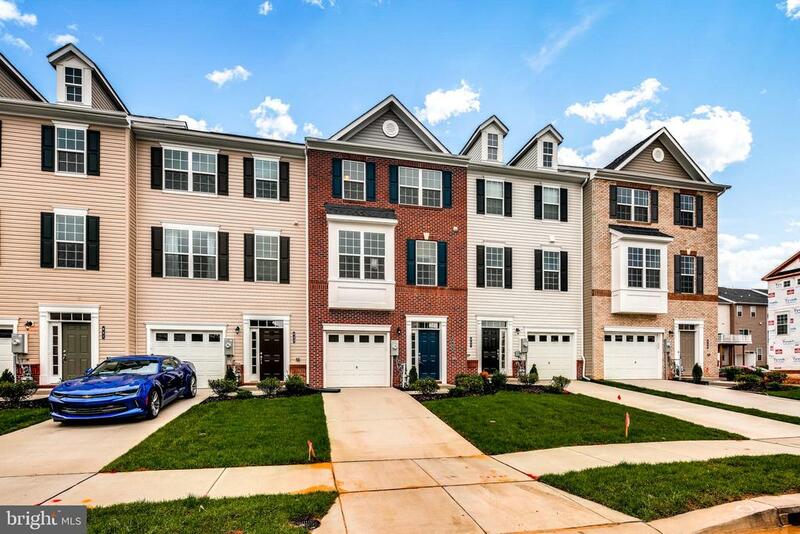 Conveniently located a short drive from I95 and 43 with the MARC Train just a 3 minute drive from the property makes getting around a breeze! Be sure to put this home on your tour today as the builder is no longer building this model!" "Let Creative Home Co. build your dream home on this beautiful lot in Middle River! 2.5 acres just 1 block from the water. 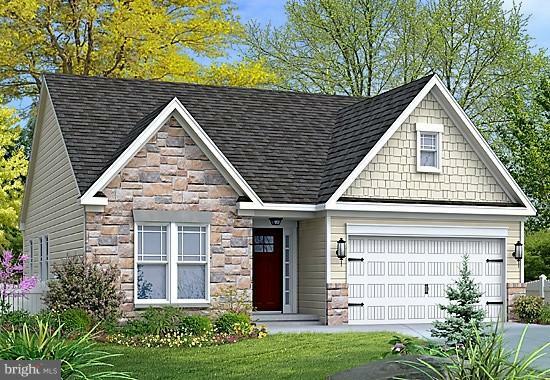 Choose from the Maestro floorplan or many other models or bring your own. 4 bedrooms, 2.5 baths with beautiful master suite with private bath. At Creative Home Co. they start with what matters most to you. Custom means no compromises. It means coming home every day to a house that reflects who you are and how you live. Creative Home Co. blends forward-thinking ingenuity with time-tested artistry. Known for their relentless innovation, meticulous attention to detail and exacting standards of construction, they have earned a reputation for exceptional quality and unparalleled service. Creative Home Co. prides itself on working with passion and precision to transform your vision into a place of enduring happy memories. Their highly personalized approach is among the many things that sets Creative Home Co. apart from other builders.Creative Home Co. ~ Live outside the box. Photo is representative of available options and offerings." "Gemcraft Homes to be built home with water views. Several house types to choose from starting in the low 500's. 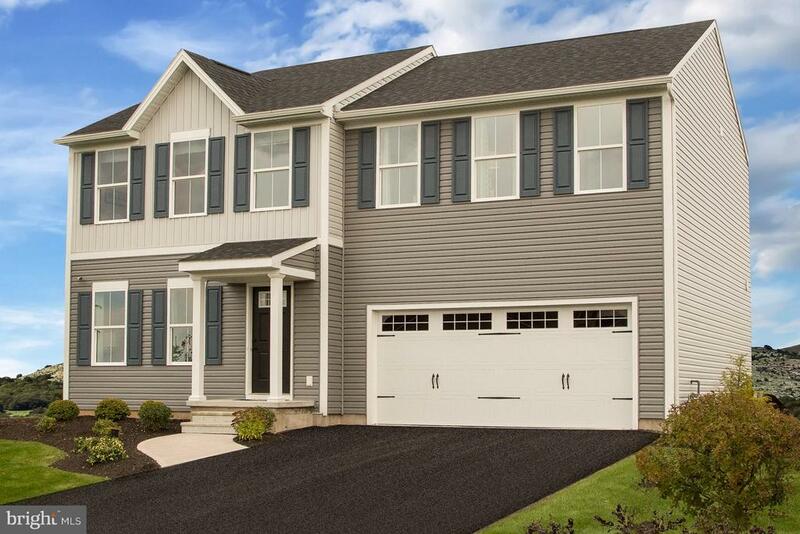 All homes feature 9ft celilings on the 1st floor, 42 cabinets, 2 car garage large kitchen and master suites. This 3+ acre lot in a water oriented community features a community boat launch and a tot lot. Taxes are on land only and photo's are of a like model." 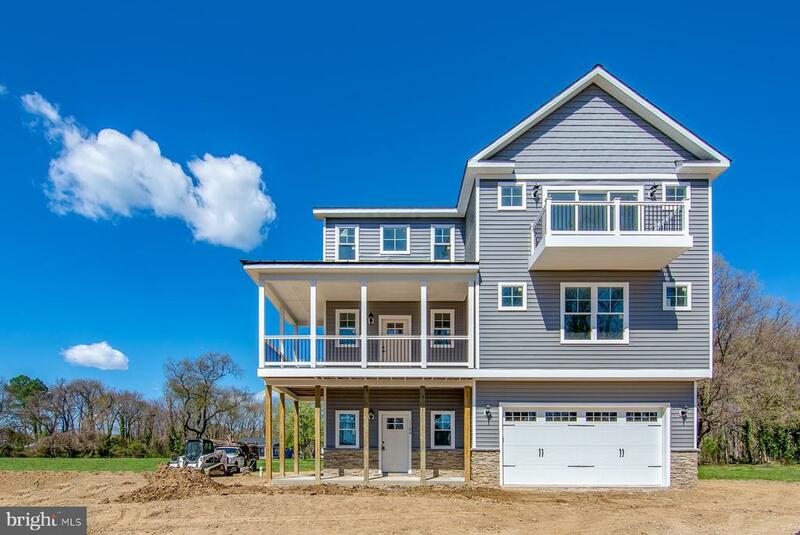 "Huge New Construction SFH with Expansive water views, with over 3400 sf finished to the 9's!! Massive lot just under acre NOT in the flood zone, so NO FLOOD INSURANCE Reqd, but get all the water views you could ever want. NO LOT RESTRICTIONS - so build your pool, detached garage, or store you boats, motorhomes and other toys right on your lot! 8 Lots to choose from, starting at 499,900! Get in early to choose your own finishes and build to suit your needs! Contact today for a private showing! Get your deposit in right away to reserve your waterview home!" 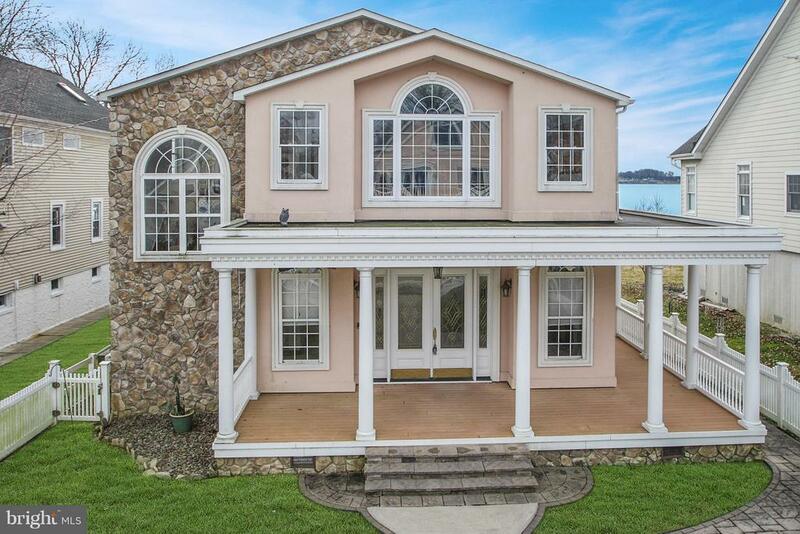 "Huge New Construction SFH with Expansive water views, with over 3400 sf finished to the 9's!! Massive lot just under acre NOT in the flood zone, so NO FLOOD INSURANCE Reqd, but get all the water views you could ever want. NO LOT RESTRICTIONS - so build your pool, detached garage, or store you boats, motorhomes and other toys right on your lot! 8 Lots to choose from, starting at 499,900! Built to Suit your needs! Contact today for a private showing! Get your deposit in right away to reserve your waterview home!" "Let Creative Home Co. build your dream home on this beautiful lot in Middle River! 2.5 acres just 1 block from the water. Choose from the Innovator floorplan or many other models or bring your own. 3 bedroom, 2 bath rancher with beautiful master suite with private bath.At Creative Home Co. they start with what matters most to you. Custom means no compromises. It means coming home every day to a house that reflects who you are and how you live. Creative Home Co. blends forward-thinking ingenuity with time-tested artistry. Known for their relentless innovation, meticulous attention to detail and exacting standards of construction, they have earned a reputation for exceptional quality and unparalleled service. Creative Home Co. prides itself on working with passion and precision to transform your vision into a place of enduring happy memories. Their highly personalized approach is among the many things that sets Creative Home Co. apart from other builders.Creative Home Co. ~ Live outside the box. Photo is representative of available options and offerings." "Beautiful colonial home in close proximity to White Marsh Mall, Honeygo Run Regional Park, and Fullerton Reservoir. Brimming with amenities such as a clubhouse with fitness center, media room, party room, and in-ground pool. Spacious interior featuring a neutral color palette that is complemented by the gorgeous hand-scraped hardwood floors, plush carpet, and a two-story foyer with transom window. Boasting with 42~ cabinetry, recessed and pendant lighting, center island with breakfast bar, stainless steel appliances, backsplash, and granite counters, the kitchen is ideal for entertaining family and friends. Relax in the sizable living room highlighted with a gas fireplace with traditional style mantle and access to the rear deck that provides easy indoor and outdoor living. The master suite entices with double vanity, double walk-in closets, soaking tub, glass door shower, and ceramic tile flooring. Gather with loved ones in the fully finished lower level family room, bedroom, bath, and storage room to watch the big game. Close proximity to I-695, US-1, and I-95." "MOVE RIGHT IN TO THIS FORMER MODEL HOME BEAUTIFULLY LANDSCAPED IN THE HAWKIN'S MANOR COMMUNITY!! 4 BED, 3.5 BATH COLONIAL WITH FRONT PORCH ON A CORNER LOT--LIVING ROOM FEATURES HARDWOOD FLOORS AND CROWN MOLDING--HALF BATH ON MAIN LEVEL--SPACIOUS FAMILY ROOM WITH HARDWOOD FLOORS AND A GAS FIREPLACE--GOURMET EAT-IN KITCHEN FEATURES HARDWOOD FLOORS, GRANITE COUNTERS, ELECTRIC COOKING, ISLAND, BREAKFAST BAR AND FRENCH DOORS THAT LEAD TO A SPACIOUS DECK--BREAKFAST AREA OFF THE KITCHEN FEATURES HARDWOOD FLOORS, CATHEDRAL CEILINGS AND A CEILING FAN--MAIN LEVEL LAUNDRY AREA--UPPER LEVEL HAS WALL-TO-WALL CARPET--BEAUTIFUL MASTER BEDROOM WITH WALK-IN CLOSET, TRAY CEILINGS, CEILING FAN AND A MASTER BATH--UPPER LEVEL ALSO FEATURES 3 ADDITIONAL BEDROOMS AND FULL BATH--LOWER LEVEL FEATURES A LARGE REC ROOM WITH RECESSED LIGHTING, CARPET AND FULL BATH--UNFINISHED AREA WITH CONCRETE FLOORS-BEAUTIFUL FLAT BACK YARD--ATTACHED 2 CAR FRONT LOADING GARAGE WITH AN ASPHALT DRIVEWAY--TOO MANY UPGRADES TO MENTION--DON'T MISS OUT!!" 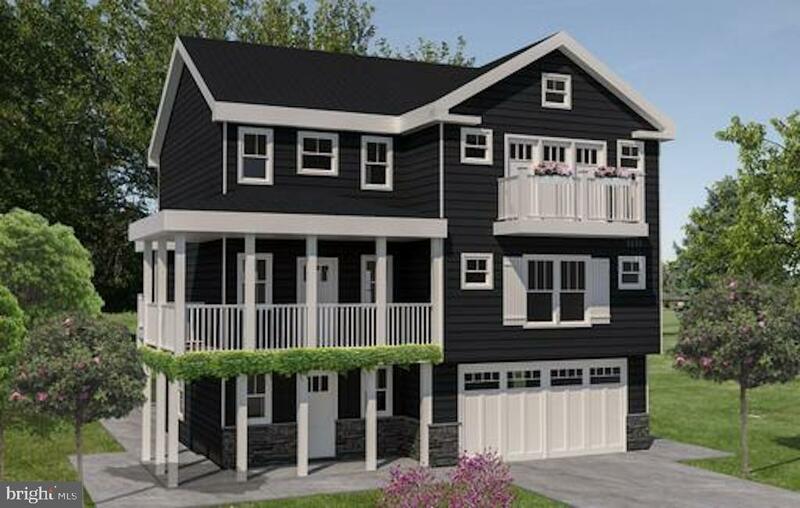 "Contemporary and modern colonial to be built in sought after Bowleys Quarters! Spacious and upscale 4 bedroom, 2.5 half bath with hardwood, ceramic title, stainless steel and top of the line finishes. Water views, large lot located in water oriented community of Long Beach Estates. TO BE BUILT- don't delay- still plenty of time to customize counters, cabinets & flooring!Tax record size incorrect"
"Attention subdividers and house-hunters --here's your opportunity to own this 3 bedroom & 2 bath cozy home on 3.25 Acres of land. Don't let this once-in-a-lifetime opportunity pass you by." "TO BE BUILT!! Now is your chance to DESIGN EVERYTHING in your NEW HOME! 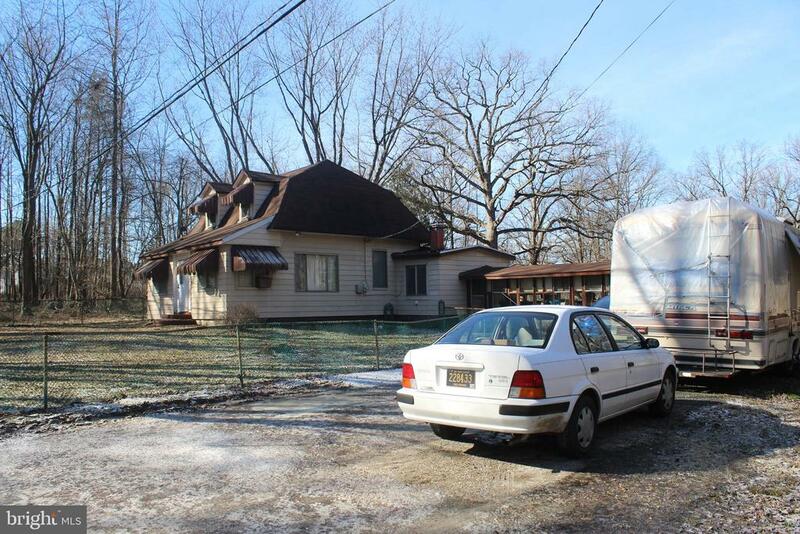 This house will be gutted and rebuilt in an area with houses selling north of 550K! 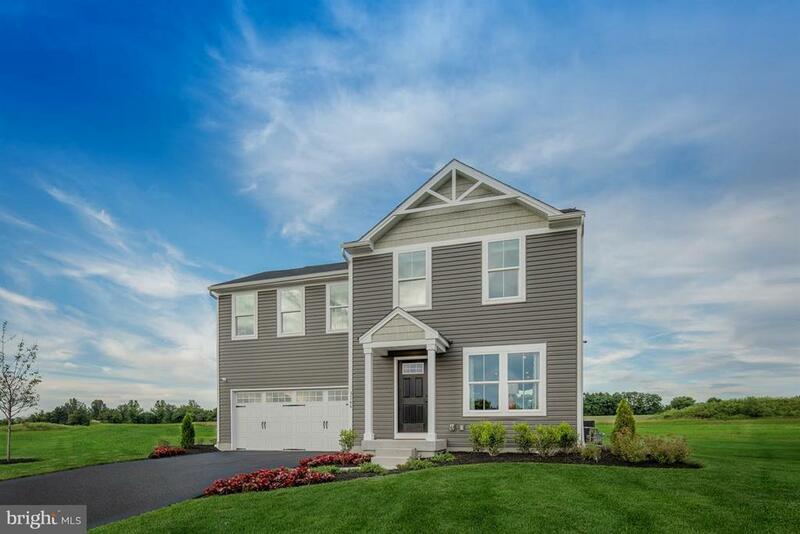 Imagine this home with BRAND NEW: 5 Bedrooms, Attached Garage, Rear Sunroom!, Brand new Kitchen w/ Granite Countertops and Stainless Appliances, Water Oriented community WITH NO FLOOD INSURANCE required. No Lot Restrictions, so build your detached garage or put that pool in! Wrap Around Porch, Basement, And OPTIONS GALORE! Bring your contract today and get it while it LASTS!" "Quick Move In - Plan 1918 at Campbell Crossing by Ryan Homes. $10,000 off closing. 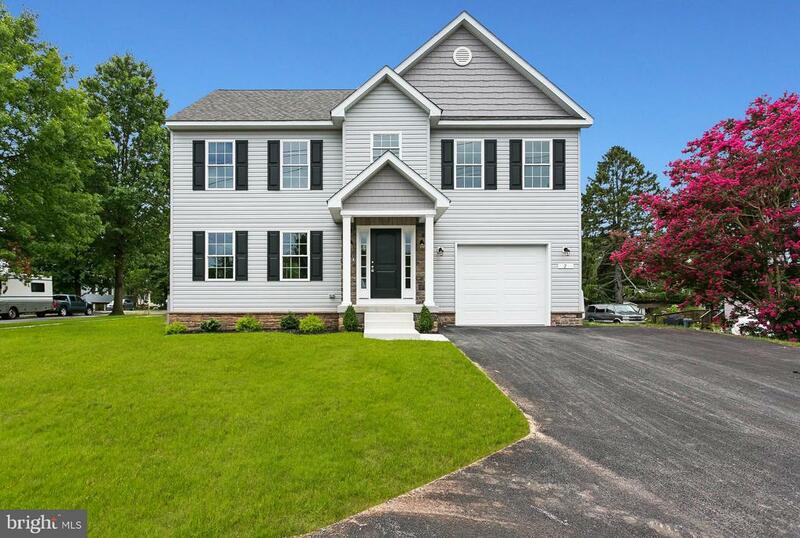 A spacious 4 bedroom, 2.5 bathroom new construction home backing to woods. All Appliances Included. 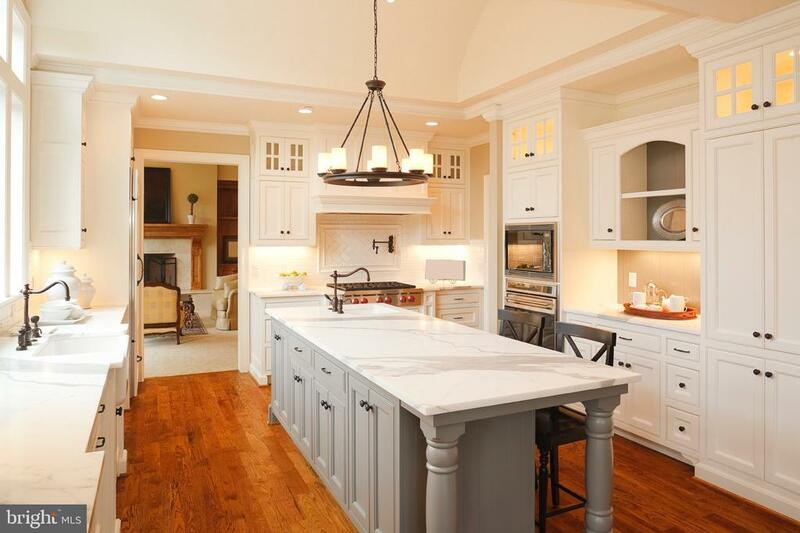 White Shaker Cabinets and Stainless kitchen appliances. Visit model home around corner at 1202 Reames Rd. for details. Photos are representative only. Realtors are welcome. Model Hours: M-F, 11-6; SAT. 11-5; SUN. 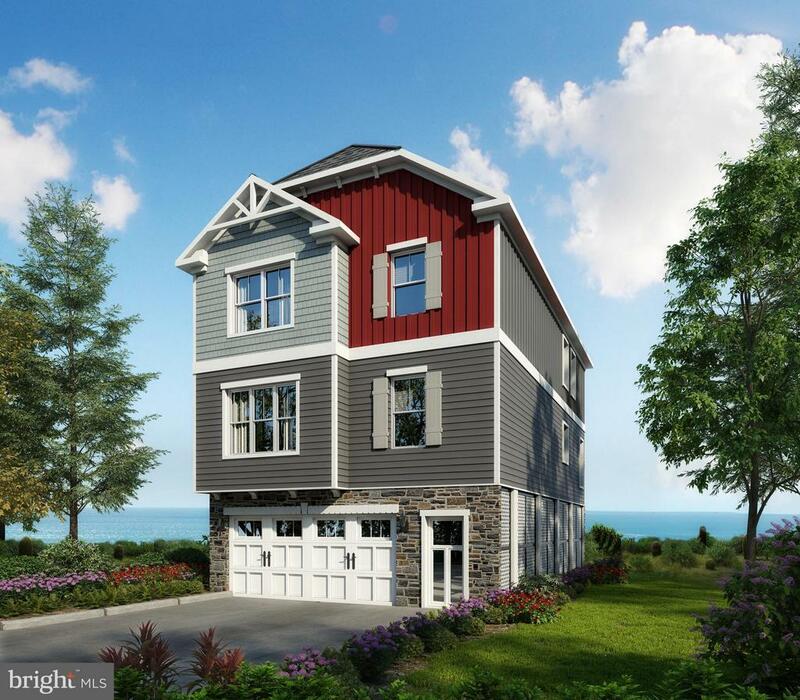 12-5"
"To Be Built - Plan 2203 at Campbell Crossing by Ryan Homes. Other home sites available.Visit model home around corner on Reames Rd. for details. Limited Time: $7,500 off closing in celebration of a record breaking 1st year with over 90 homes sold! Prices will begin increasing after each sale due to extraordinary demand. . Build a custom home in as little as 3.5 months! Only 3% down, no mortgage insurance available. Pick your floorplan and home site! Photos are representative only. Realtors are welcome. Model Hours: M-F, 1; SAT. 11-5; SUN. 12-5"
"WELCOME HOME!!! 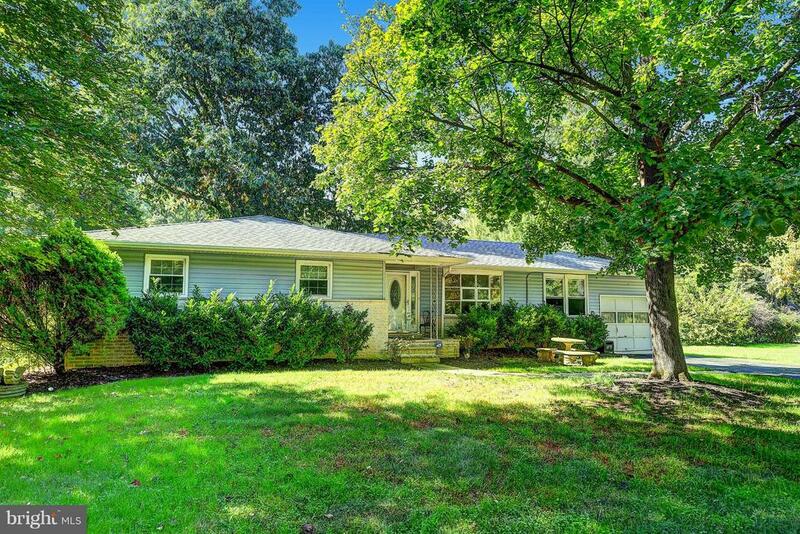 BEAUTIFUL 3BED 3BATH RANCHER IN SOUGHT AFTER BOWLEYS QUARTERS.1+ACRE GREAT FOR ENTERTAINING.ROOF 5YRS OLD, HARDWOOD FLOORS, WALL FRAME MOULDING AND MANY OTHER UPDATES. AJOINING LOT14 HAS BEEN COMBINED (tax ID 04151516451240-lot14) THIS IS A MUST SEE! HVAC 1YR OLD"
"To Be Built - Plan 1918 at Campbell Crossing by Ryan Homes. Other home sites available. Visit model home around corner on Reames Rd. for details. Limited Time: $7,500 off closing in celebration of a record breaking 1st year with over 90 homes sold! Prices will begin increasing after each sale due to extraordinary demand. . Build a custom home in as little as 3.5 months! Only 3% down, no mortgage insurance available. Pick your floorplan and home site! Photos are representative only. Realtors are welcome. Model Hours: M-F, 11-6; SAT. 11-5; SUN. 12-5"
"NEW HOME - UNDER CONSTRUCTION NOW! READY FOR MAY DELIVERY. STILL TIME TO CHOOSE COLOR SELECTIONS. 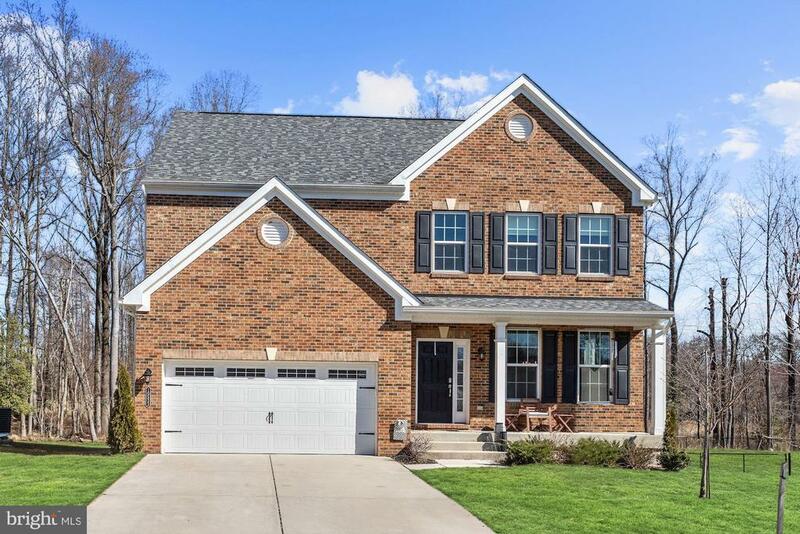 ELEGANT, WELL-APPOINTED HOME W/ HARDWOOD FLOORS ON ENTIRE MAIN LEVEL*LIVING ROOM W/ GAS FIREPLACE*GOURMET KITCHEN W/ 42 CABINETS, STAINLESS APPLIANCES, GRANITE & BREAKFAST BAR. SPACIOUS BEDROOMS W/ OVER-SIZED MASTER SUITE FEATURING LUXURY BATHROOM. ONE CAR GARAGE W/ AUTO OPENER. ONE OTHER HOME AVAILABLE AT THIS LOCATION! CALL FOR DETAILS!" "Amazing opportunity on this Beazer Quick Move In Home! 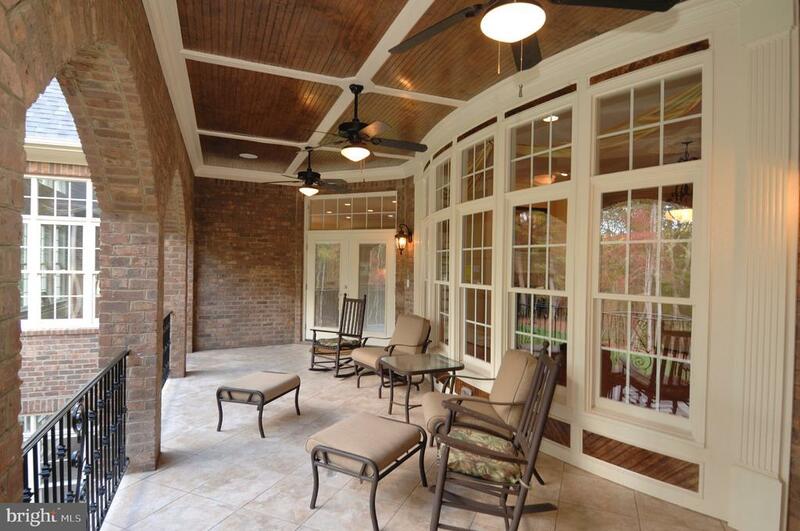 Beautiful open floor plan w/generous kitchen space Community amenities POOL/FITNESS/CLUBHOUSE! 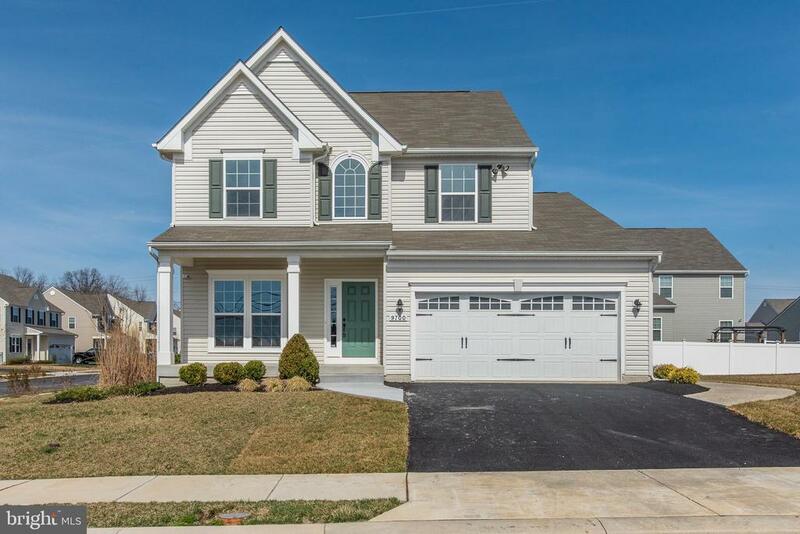 Close to I95, White Marsh, 20 min to Baltimore, Energy Starr Certified ~ Partner Of the Year!. Closing cost assistance w/ preferred lenders. . Photos are Representative-taken at a finished model. Mon. :1-6PM, Tues-Sun:11AM-6PM. Welcome! Closing Assistance offered. Buy now and get a FREE Composite Deck! See Sales Managers for details"